Let's check out an old bargain pack of hoopster stars (hoopstars?) of yesteryear. I picked this up at a card show awhile back for a bit of fun. 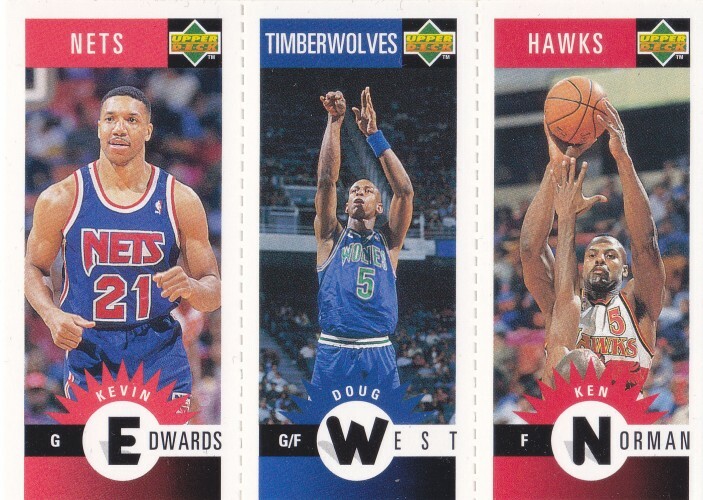 Two of the cards in each pack are three-player "minis". 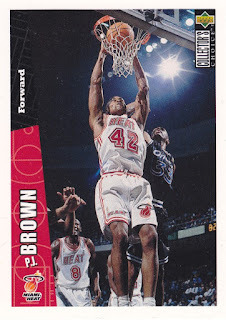 It just so happens that the minis were the first two cards of this particular pack. A number of sets over the years have tried to recapture the magic of that 1980-81 Topps set, with varying levels of success. 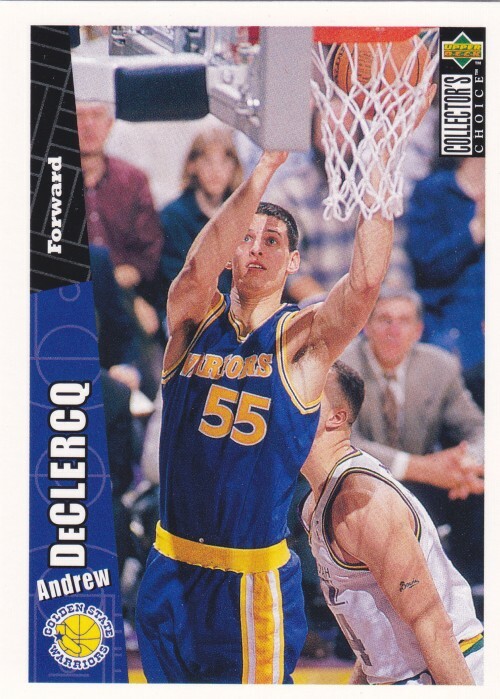 At least Upper Deck remembered the perforation here. That was a nice touch. This one does a little better with the star power, with professional super large man (and movie star?!) 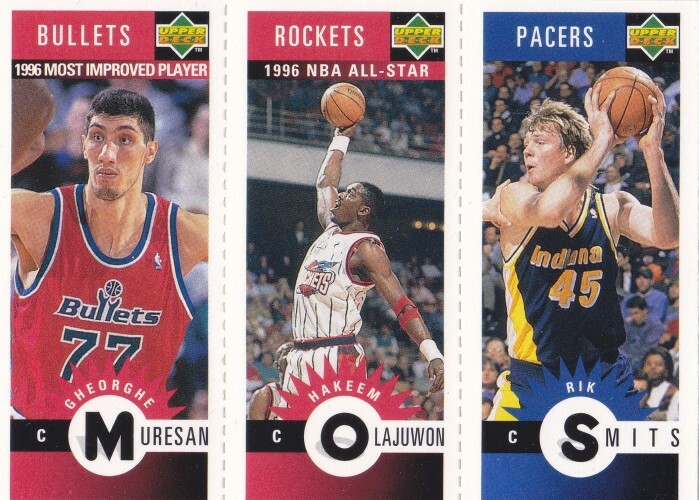 Muresan joining one of the best big men of all-time (Olajuwon) and star of every NBA pack I open, Rik Smits. 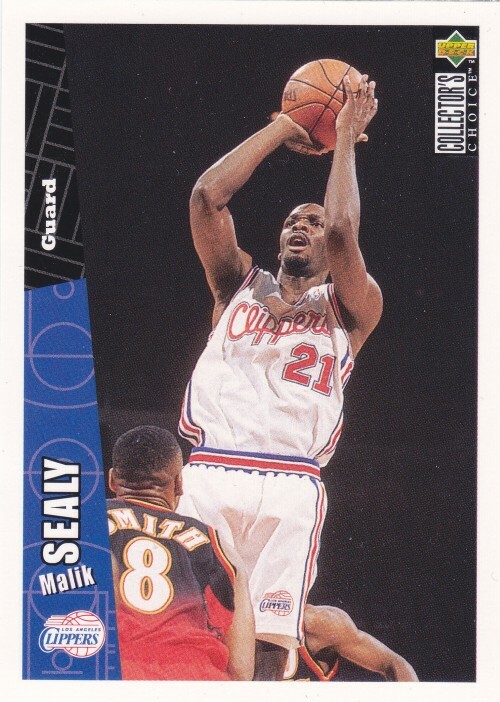 263 - Malik Sealy - Back to your regularly scheduled program (Collector's Choice) with Malik Sealy, who died in a car wreck at the peak of his career. 208 - Todd Day - I always appreciate a player who wears #13. 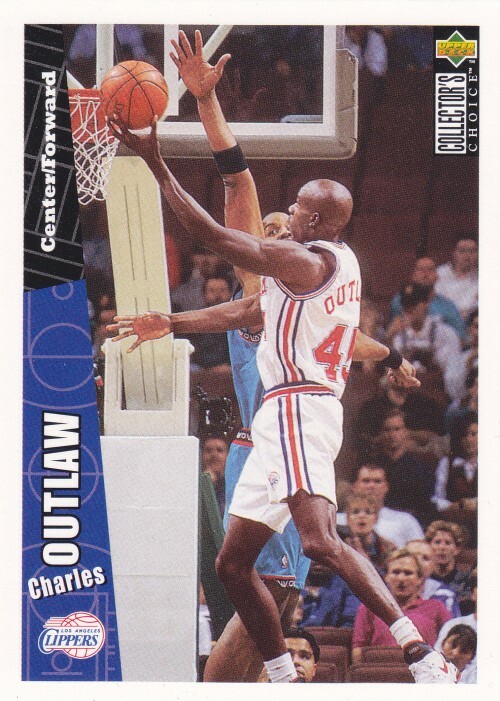 261 - Charles Outlaw - Better known as Bo. 329 - David Robinson - Here's a Hall of Famer. 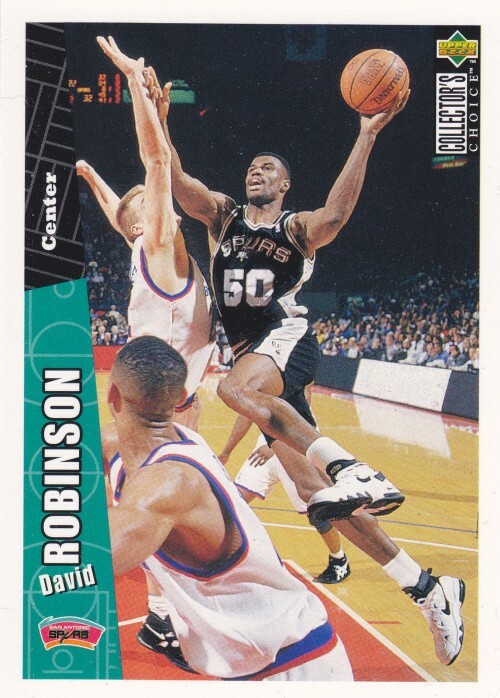 This would be the season that Robinson basically missed, allowing them to fall to the bottom of the league so they could draft Tim Duncan. They were the original tankers. 272 - P.J. Brown - Brown was a defensive stalwart who played for a long time. 397 - Checklist - Wow, I'm not sure about Doctor Basketball's rating system here. 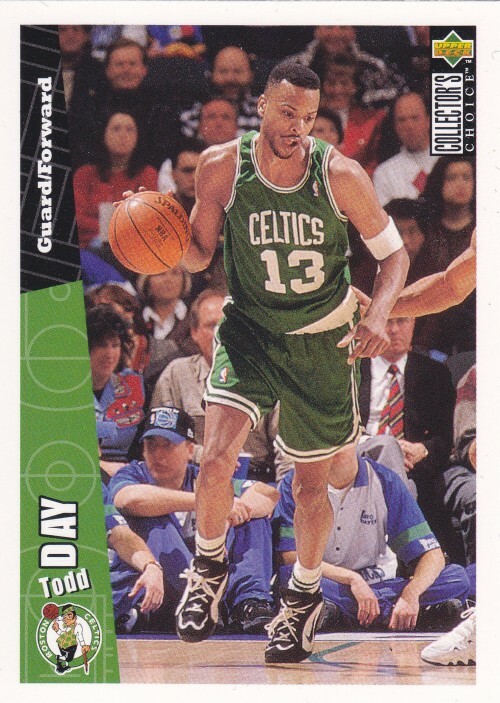 There's a lot going on with this card. 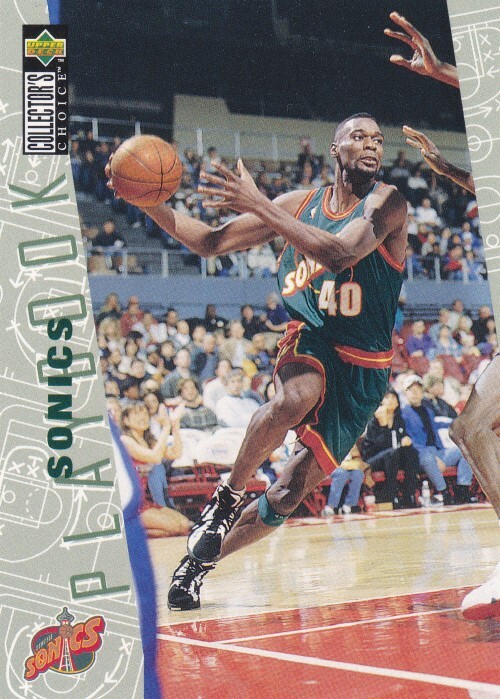 391 - Sonics Playbook - This one features Shawn Kemp, of course. These are new to me. Not bad looking cards and a nice pull with The Admiral and Hakeem on the 3some card. 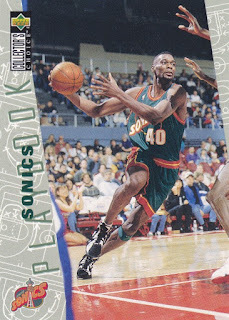 Kemp of course was also a beast. That checklist? Not digging it. Great stuff. Thanks for sharing. Love this particular set. That Admiral is fantastic! 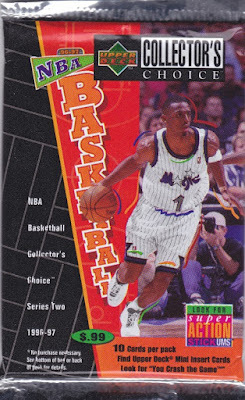 Don't really go out of my way to collect basketball, but I'm tempted to go out and grab a complete set of this... just to get my hands on Kobe and AI rookie cards. Wow... Go home, Doctor Basketball, you are drunk.